Louie doesn't like it if I use the computer, and ignore him. As a result he's taken up a silent protest. 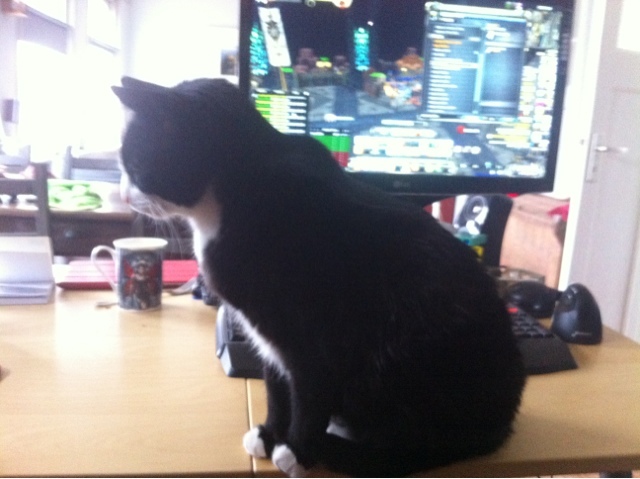 Yes, this was taken from over my shoulder, and this is my normal view when interacting with the PC.